NTEA won the 2017 Jim George Collective Bargaining Award. From left: NJEA President Marie Blistan, NJEA Consultant Diane Vistein, NTEA President Pamela Kellett, NJEA UniServ Field Representative Ron Villano, NTEA Association Representative Jennifer McKinley, NTEA Vice President James Weldon, NTEA Treasurer Michael Highland, NJEA Vice President Sean M. Spiller and NJEA Secretary-Treasurer Steve Beatty. 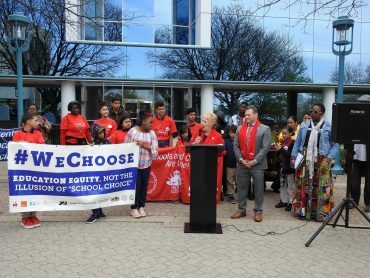 Every round of bargaining has its challenges, but the Neptune Township Education Association’s (NTEA) negotiations team could be forgiven for feeling uniquely challenged—perhaps even cursed—as they fought for three years to settle a successor agreement to the contract that expired in 2015. Beginning in the fall of 2014, the NTEA, which represents 615 teachers and educational support professionals (ESPs), met with then-superintendent Dave Mooij to discuss concepts. They initiated formal negotiations in December 2014. By May 2015, they had hammered out the framework for a new agreement. Mooij, who was planning to retire, had made it a point to prioritize the successful settlement of the contract before he left the district. Tragically, Mooij passed away in June, just days before his retirement. 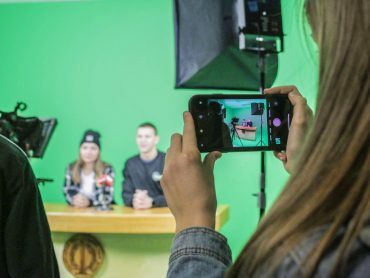 Struggling to recover, the association worked with the Neptune Township Board of Education and interim superintendent Michael T. Lake to finalize the framework they had agreed to with Mooij. The association and board agreed to a freeze on Tier 4 contribution levels under Ch. 78, added columns to the guide so secretaries and paraprofessionals could get increases in salary based on the degrees they hold, and agreed to salary percentages of 2.9, 2.85, and 2.8. In September, the board ratified the framework, but they left a critical item out that the association believed had already been agreed to—a $500 salary adjustment for paraprofessionals. Believing it was simply a clerical error, the association urged the board to go back, include the adjustment, and approve the framework. The board refused. The association’s negotiations team brought the contract framework forward to the general membership, but made it clear that they would be pursuing the salary adjustment for paraprofessionals by appealing to the Public Employment Relations Commission (PERC). With the understanding that the ratification vote would be held with this issue still open, the association approved the contract. Technically, in September 2015, they now had a settled contract. Under ordinary circumstances, this would be cause for celebration, but the association was still pursuing the salary adjustment for paraprofessionals. Later that fall, PERC ruled that there had been a misunderstanding on both sides over the paraprofessionals’ adjustment, and urged both teams to meet and work it out, but the board refused to consider it. In December 2015, the association once again voted on the contract, this time with the clarification that—all else being equal—the paraprofessionals would not get the salary adjustment that the association believed it had been promised. The NTEA voted down the proposed contract. As a sign of the deteriorating relationship, by February 2016, when the board and association met again, the number of open items had ballooned to 96 issues. That April, the board’s health care costs increased 25 percent, and the next month the board said they could no longer afford the contract they had proposed the year before. 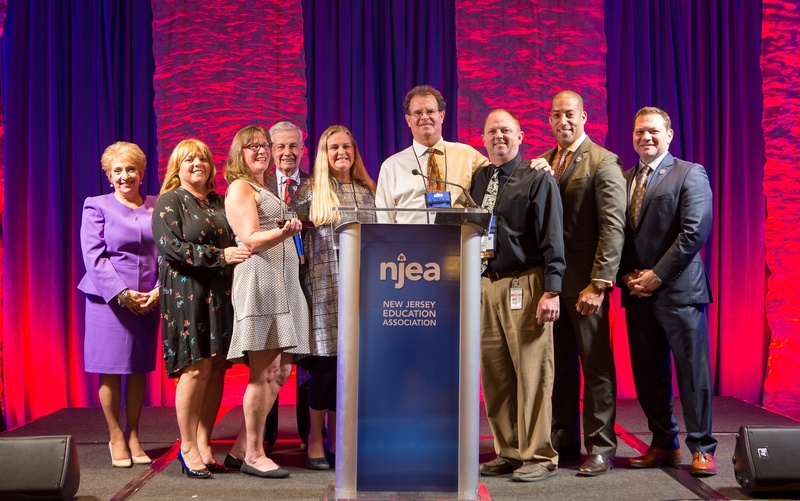 In July, NJEA Field Representative Joe Keough, who had worked closely with the NTEA for five years, suddenly passed away. An NJEA staff member since 2011, Keough had retired after 33 years of service to the Old Bridge School District. The impact was devastating to the local association, and the entire NJEA family. Veteran NJEA Field Representative Ron Villano began working with the NTEA. With more than 40 years’ experience in education, collective bargaining, and organizing, Villano knew what the association needed in order to move past the many challenges it faced. With Villano, NJEA consultant Diane Vistein, and a new superintendent, Dr. Tami Crader, the association and the board began again. The association filed for mediation, but mediator Kathy Vogt did not want to give any relief on Ch. 78. In order to achieve the outcome they wanted, the association restructured their proposal. They agreed to change their medical provider, and they took the money that would have gone to certified staff during the first year of the contract in order to provide ESPs with an increase every year of the contract. At the same time, everyone got their increments and moved up on the salary guide. The total salary package the association proposed was 15 percent over five years and included one year of retroactive pay. The health benefits package was a key element in settling the contract. The association agreed to move to the School Employees Health Benefits Program (SEHBP). The board was able to put the cost savings toward the salary settlement. Finally, in March 2017, the NTEA and the board reached an agreement and ratified it in May. 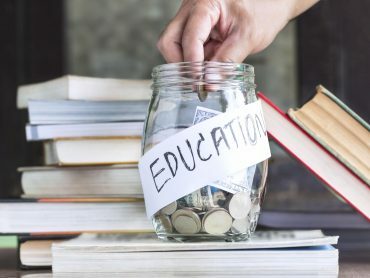 The NTEA agreed to a freeze on certified staff salaries in the first year, and annual salary increases for teachers of 3, 3, 3.2 and 3.2 percent. The salary proposal for secretaries was 3.5, 3.5, 3.7, and 3.7 percent, and for paraprofessionals it was 4, 4, 4.2, and 4.2 percent. The association felt strongly that since the board had poorly compensated secretaries and paraprofessionals in particular for so long that it was vital to focus on them. In addition, they negotiated a $7,500 cap on health care contributions for certified staff and a $2,500 cap for ESPs. Some certified staff had been paying up to $12,000 a year in contributions. While members at the top of the salary guide are not seeing a significant increase, they are seeing Ch. 78 relief, and that was a priority for everyone. But the association wasn’t done. Still angry about the board’s decision not to honor the agreement on paraprofessionals’ salary adjustment, they set out to change the board. In November 2017, three new board members supportive of the NTEA were elected. Kathryn Coulibaly is the associate editor of the NJEA Review and provides content and support to njea.org. She can be reached at kcoulibaly@njea.org.